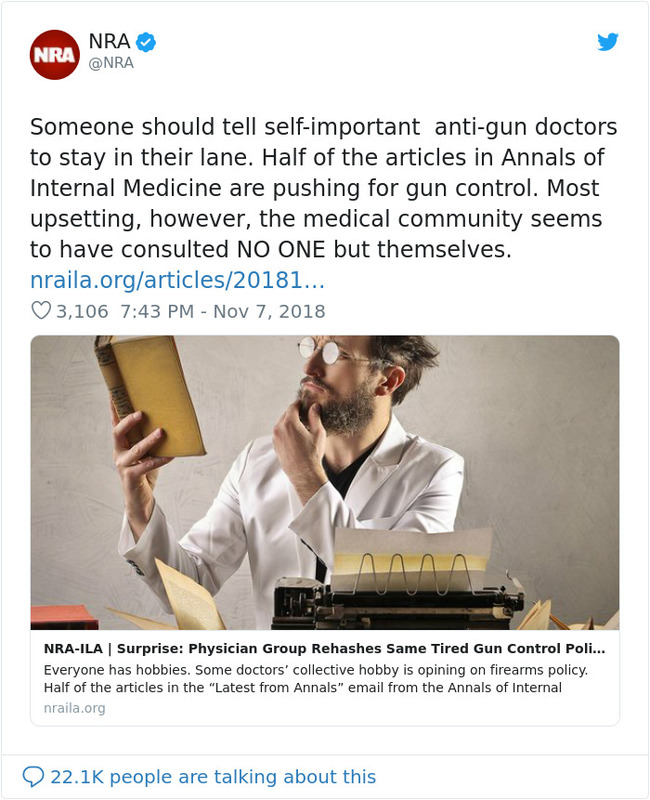 As the USA experienced the 307th mass shooting in 311 days on November 7th, 2018, in Thousand Oaks the gun-control debate returned to the headlines. 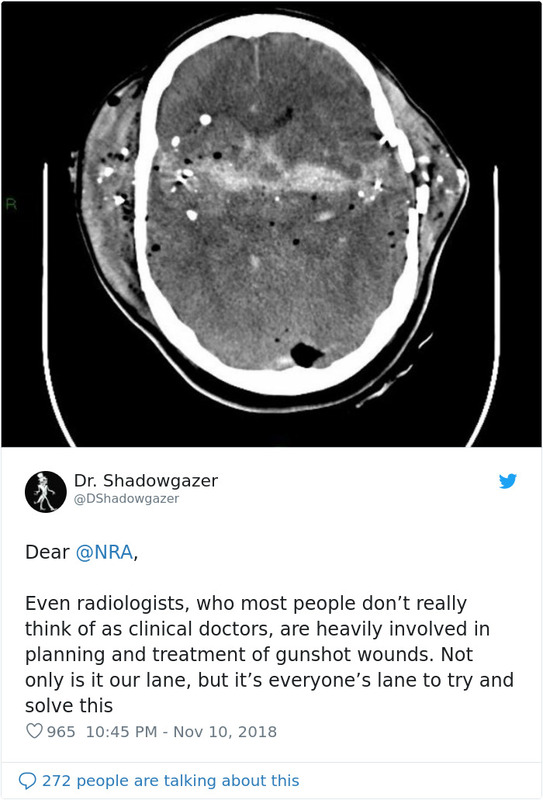 This time, the National Rifle Association (NRA) played a major role in them, too. 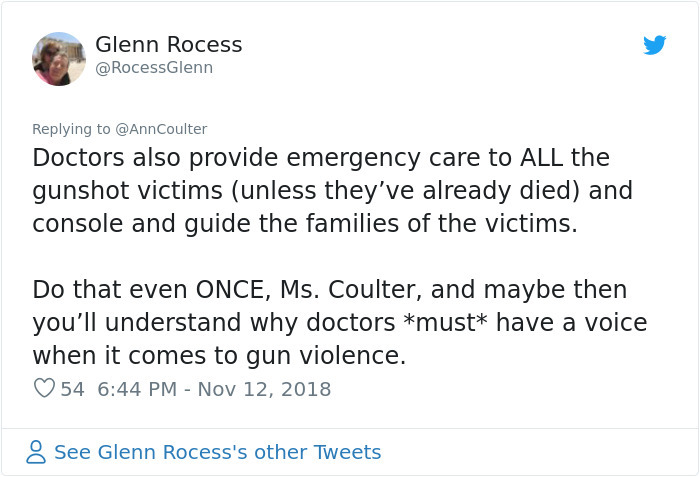 And it has a lot to do with a tweet the organization released just hours before the tragedy in California. 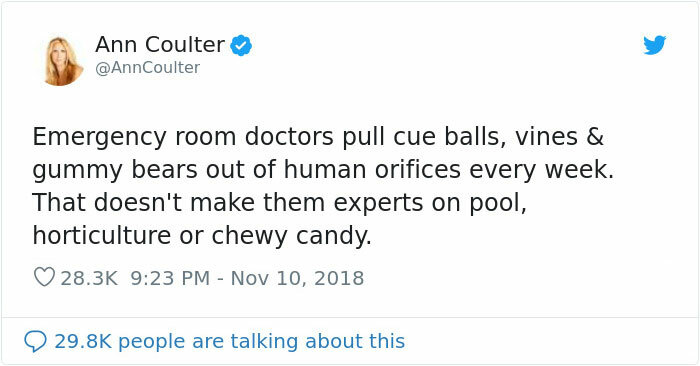 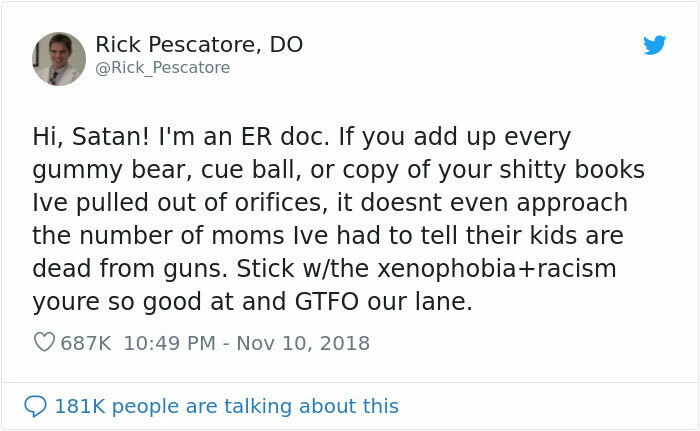 Immediately, outraged doctors from all over the country began responding, and some of them even included chilling photos from their emergency rooms. 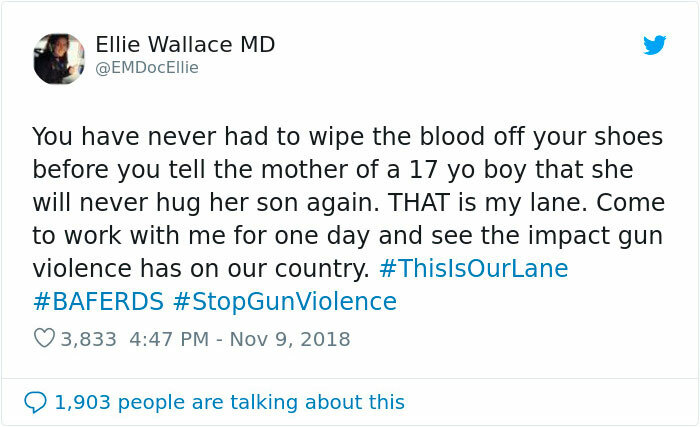 Dr Morris was one of the many health professionals who used Twitter to hit back at the NRA, joining others under the hashtag #ThisIsOurLane. 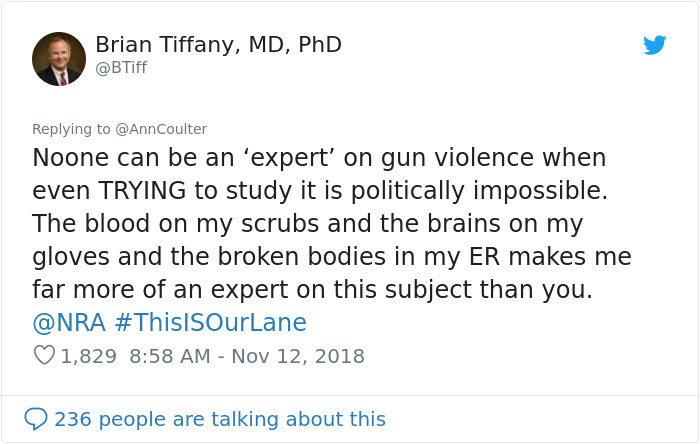 “People need to see the reality of what we deal with. 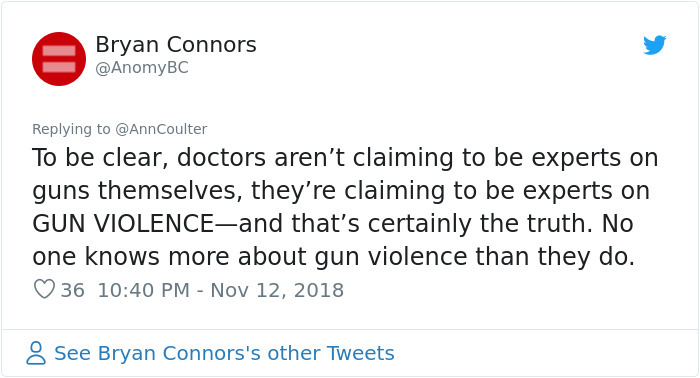 Too often, we get stuck on the same old philosophical arguments about gun violence,” Dr Morris told the BBC. 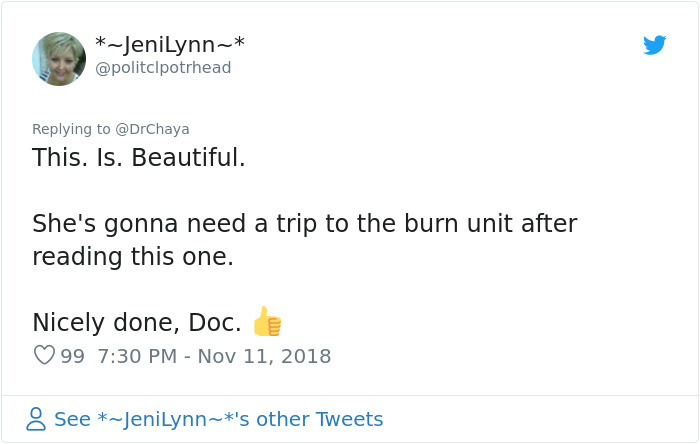 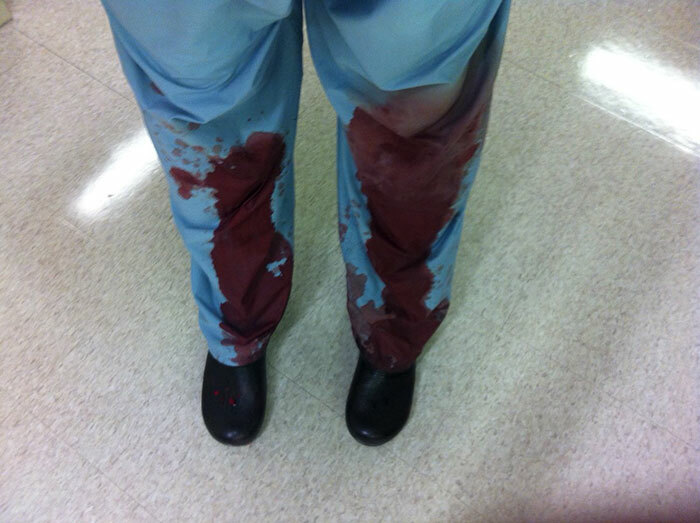 He was deliberately vague about the details surrounding the photo he tweeted “because it is representative of countless times that this has happened to me and every other person who works in trauma”. 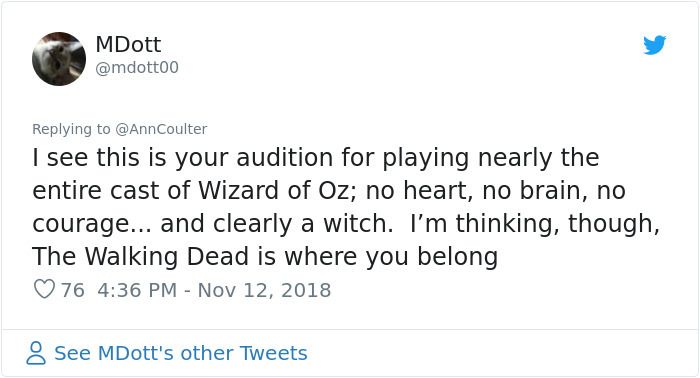 Eventually, Ann Coulter tried to back up the NRA but people think her attempt fell on its face. 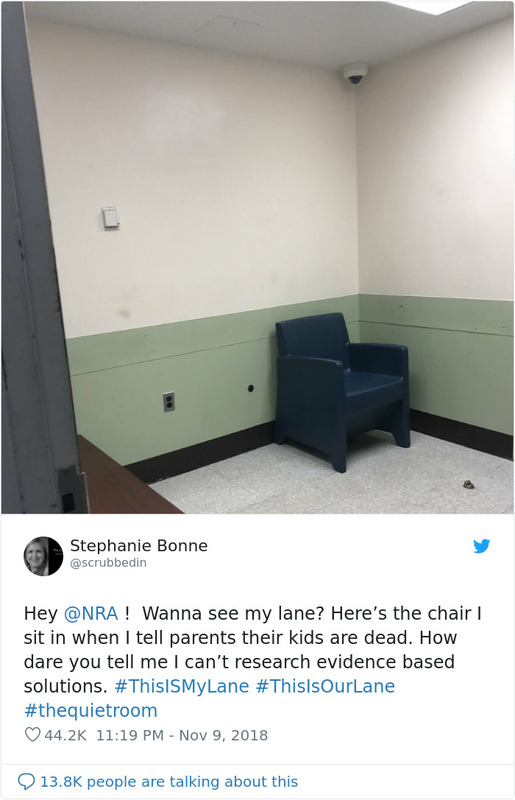 Scroll down to check out a summary of this heated Twitter debate and tell us your thoughts in the comments.